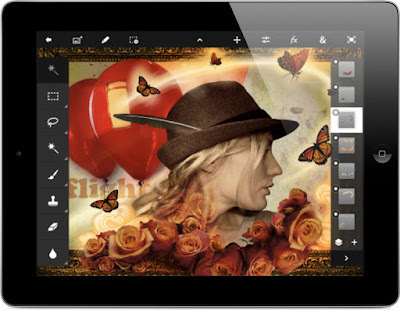 Adobe's Touch Apps, running on the iPad, will open new markets. Adobe's latest quarterly numbers are out, and while the market reaction has been distinctly negative (the stock plunged 4% mere minutes after numbers were released), I think it's possible the market has missed the bigger picture. The company's total revenue for the quarter ending March 2, 2012 was $1.045 billion, up from $1.027 billion for the same quarter last year. Operating income was $288.9 million versus $302.3 million for the same period a year ago, with the drop coming because of higher operating expenses (mostly relating to sales and marketing) in Q1 of FY2012. Net income saw an unpleasant 21% YOY drop, to $185.2 million for Q1 of 2012 compared to $234.6 million for Q1 of last year. Diluted net income per share came in at $0.37 for the quarter (versus $0.46 for Q1 of 2011). Where things get tricky, of course, is in trying to extrapolate from the current state of Adobe's business to the state of the business, say, six months from now. Let's just go ahead and run through the bear case first, then follow up with the bull case, and finally, my own take. LiveCycle business is decreasing. The company has, in fact, expressed downward guidance on LiveCycle, to the tune of possibly as much as $150 million in FY2012 (although in the conference call, it was noted that LiveCycle business is actually doing better than expected and will most likely not be down a full $150 million on the year). CS6 could be late, and meanwhile customers have put purchases on hold pending the release of CS6 (5.5 is already seen as "last year's version"). Even if CS6 is not late, Adobe is trying to transition customers from a perpetual-license model to a recurring-charge (subscription-based) model, and this could represent a difficult transition. Revenues will decelerate if customers start paying by subscription (month to month) instead of buying a single Photoshop (or other product) license all-at-once. Because of Flash, Adobe may not be able to participate fully in Apple-platform success. The company is making a big bet on its Creative Cloud strategy, and the payoff from that may take longer than expected. The bullish case for Adobe starts with pent-up demand for CS6. It's always possible that CS6 could be late (just as any software release can be late), but with as much riding on CS6 as there is, you can bet Adobe won't let schedules slip if it can be avoided. Bulls will point out that the transition to a subscription-based model is not likely to be terribly disruptive, because Adobe in fact plans to continue to offer perpetual licenses in parallel with its subscription business, so that customers can choose whichever payment mode they want. And while it's true Adobe will lose a certain amount of "revenue front-loading" if people suddenly move to the subscription model, this will likely be offset by the availability of new customers who otherwise couldn't afford (or don't want) the big bite of a full Photoshop purchase. Likewise, although it's true that Flash has no future in mobile devices (something Adobe acknowledged back in November), Adobe does have a big investment in HTML5 technology, which should clear the way for greater involvement with the iOS platform. I like to look at this from the standpoint of catalysts that could move the needle for ADBE stock. And I think there are, indeed, several catalysts that people have either overlooked or are slow to comprehend the possible impact of. Let's start with the (often-avoided) fact that Adobe has long had a significant worldwide problem with piracy. Simply put, there are tons of unlicensed copies of Photoshop, Illustrator, Acrobat, etc. out there in the wild. An utterly staggering opportunity presents itself if Adobe were able to recapture even a portion of that lost revenue. Exactly that opportunity is implicit in the subscription pricing model. When the "entry cost" for owning an Adobe product drops from almost $1000, to perhaps $50 (or just $9.95, for a Touch App), it means a lot of illegal users will suddenly consider becoming legal users. Since you probably won't want to store gigabytes of photos or artwork on your iPad, this also becomes an important springboard for Creative Cloud adoption. In addition to giving people a place to store files (and an easy way to sync them to web-connected devices), Creative Cloud gives users access to thousands of web fonts and an easy way to try other Adobe tools without going through a huge download and installation process. This is potentially a very big win for Adobe. Another Adobe catalyst that doesn't get its fair share of coverage has to do with the pain of web development. These days, it's not enough to develop apps or content for just one device (such as a laptop): You also want your app (or content) to run, and look good, on multiple devices (phone, tablet, etc.). But developing content or apps for multiple targets is an enormous pain, because it typically involves multiple development cycles using multiple tools on multiple devices. Adobe is taking aim at this problem with powerhouse tools like Dreamweaver, InDesign, and Flash Builder that allow you to do all your development work in one place, and debug the results (using appropriate emulation) in one place, then assemble and deploy your finished product to any target (iOS, Android, Windows, Mac, whatever). And by the way, don't be misled by the name Flash Builder. You can use Flash Builder to output your work in HTML5. It doesn't just output Flash. As far as I know, Adobe is the only major software vendor that has succeeded in bringing advanced cross-platform development tools to market. Think of how many developers are working on apps (and/or content) right now for Apple iOS. Think of how many are targeting Android. Think of Windows. Think of MacOS. Add it all up. That's the total addressable market for the tools I just mentioned. I'll mention just one other catalyst for Adobe, which has to do with its enterprise business. In 2009, Adobe completed its acquisition of Omniture, and a year later it acquired the former Day Software (whose WCM products power the websites of McDonalds, Mercedes, and other Fortune 100 customers). More recently, the company acquired Efficient Frontier, a leader in multichannel and auction-based digital advertising optimization across search, display, and social media. Adobe's Digital Marketing business unit is completing the integration of these platforms to provide a uniquely compelling story for any enterprise that wants to create, manage, deploy, and optimize the consumption of potentially very sophisticated digital content on the Web, in multiple languages, across multiples geos, on multiple devices. Adobe is just beginning to monetize this breathtakingly comprehensive offering, and I think it's fair to say the downstream revenues from it will be measured in the multiple billions of dollars and/or Euros, etc. But that's another article unto itself. I can think of additional catalysts (I haven't even touched on Project Primetime, for example), but it should be evident by now that the outlook for Adobe isn't constrained to how many copies of Photoshop can be sold to how many Mac or PC owners. It's a far, far bigger story than that. ADBE stock (P/E: 20) has been trading recently in the low 30s, with a 52-week range of $22.67 to $35.99. The stock is 90% institutionally owned and the company has a market capitalization of approximately $17 billion. Disclosure: The author has a long position in this company's stock. A perfect storm for turbocharging? There's a new technology trend afoot in the auto industry that's going to arrive, bigtime, in a showroom near you, sooner than you think. It's a trend that's been brewing for years but now stands ready to gain truly historic traction. It's called turbocharging. Turbocharged engines have been available on certain popular car models (such as the Volvo 70-series and Mercedes diesels) for decades. But now turbocharged engines are poised to make a major showing in auto (and light truck) lineups. The reason? Gasoline prices are on the rise, which means vehicle-buyers are increasingly conscious of the need for greater fuel efficiency. Until recently, achieving greater fuel efficiency has simply meant ordering a smaller engine. But to get the performance back, auto makers are now increasingly turning to turbocharging as a simple, bolt-on way to get more oomph while at the same time actually improving (rather than degrading) fuel economy. It's not like the auto-makers have much choice. The U.S. government will be imposing much tougher mileage standards for 2016 to 2025 model years. New Corporate Average Fuel Economy (CAFE) targets are set to jump, in stages, to an average of 54.5 mpg by 2025 (an increase of about 50 percent from current levels). This sets an incredibly high bar for vehicle-makers who are already struggling to do all they can to reduce vehicle weight, improve engine output, and reduce emissions, all at the same time. The only realistic way to meet the new CAFE standards is to add turbocharging to existing engines. Turbochargers are deceptively simple devices, in theory. What they allow you to do, in effect, is put an exhaust-gas-driven pinwheel in the exhaust system, with the "cold side" of the pinwheel coupled to a fan (a compressor) that blows air into the engine's intake system. This is no ordinary pinwheel, however. The turbine wheel in a modern turbocharger spins anywhere from 30,000 to 60,000 rpm (sometimes more), making it quite easily the fastest moving part in your engine. To last more than a few hours, the wheel itself must be made of exotic nickel-based superalloy that can withstand continuous exposure to high-temperature exhaust, and the entire assembly needs to be balanced to jet-engine standards, lest the whole affair suffer catastrophic spontaneous disassembly (engineering-speak for "an explosion") at operating speeds. Only a handful of companies have deep experience in mass-producing high-output turbochargers. One of the oldest such companies is the former Garrett AiResearch (founded by Cliff Garrett in 1936), which was acquired by Signal Oil & Gas in 1968. Signal, in turn, merged with Allied Corporation in 1985 to form Allied Signal. The latter bought Honeywell for $15 billion in 1999, and although Allied Signal (at the time of the acquisition) was twice Honeywell's size, it chose to rename itself Honeywell International because of Honeywell's superior brand recognition. Today, Honeywell Turbo Technologies is the division of Honeywell International that continues to produce the former Garrett line of turbochargers. It's easily the largest turbocharger manufacturer in the world, producing some 30,000 units a day (with plans to significantly increase that number later this year when Honeywell's new Slovakian plant comes online). 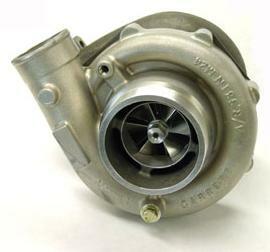 Honeywell's three chief rivals in the turbo biz (Borg Warner, Mitsubishi Heavy Industries, and Ishikawajima-Harima Heavy Industries), put together, produce about the same number of turbos per year as Honeywell. So Honeywell is indeed the dominant player. Currently, only around 5% of gasoline engines in the U.S. are turbocharged (compared to more than 50% in Europe). That share is set to grow to 20% by 2015 and could top 80% by 2020, according to Honeywell (in part because of the regulatory tailwind mentioned earlier). It's clear that Honeywell stands to see a significant increase in its turbocharger business in the coming years, even assuming motor-vehicle production remains constant. But vehicle builds have actually been increasing sharply of late. In the U.S., for example, the domestic auto build for 2012 is predicted to top 14 million (handily exceeding 2011's 12.8 million). If you combine steadily ramping vehicle production with a huge increase in market penetration for turbocharged engines, you have (potentially, at least) a home run for Honeywell. Honeywell already has more than 100 OEM turbo applications in place (with companies like BMW, Caterpillar, Ford, and Volkswagen), with 500 new applications in the pipeline. This is a serious growth market for Honeywell, and it is already showing signs of becoming a huge moneymaker for the company. Turbochargers form the bulk of Honeywell's Transportation Systems Division revenues, and Honeywell (in its most recent 10-K filing) specifically credits its turbocharger business with that division's 16% year-over-year revenue growth, and 37% YOY profit growth. (By contrast, the company's larger and more mature Aerospace division is experiencing only 7% year-over-year growth.) The Transportation Systems Division accounts for a little over 10% of Honeywell's overall business, currently. But at current growth rates, it will soon be a much bigger share of both top-line and bottom-line revenues. Is there a down side to the business? Not really. Even if fuel prices were to level out (or decline) over the next several years, government-mandated CAFE standards will still virtually guarantee that Honeywell will continue to see vibrant growth in its U.S. turbocharger business (all the more true when you consider that auto makers truly have exhausted their engineering bag of tricks when it comes to wringing more fuel economy out of today's engines). Going forward, turbocharging is a must, if CAFE standards are to be met. Pound for pound, turbocharging is the least expensive, easiest, most reliable way to get more performance and more fuel economy, simultaneously, out of an engine. No one seriously questions that fact. Honeywell International (NYSE:HON) has recently been trading in the high fifties, with a 52-week range of 41.22 to 62.28 and a P/E multiple of around 25. The stock pays a dividend of 2.5% and is 80% institutionally owned. The most recent 10-K filing is here. The author does not hold any position in Honeywell stock, nor the stock of its competitors.